1. Statement of tax deduction u/s 192 in Form No. 24Q. B. Form No. 26Q in respect of all other deductees. 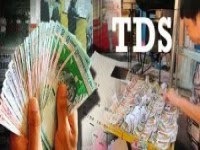 It is, therefore advised to file the applicable TDS Statements at the earliest to comply with the above provisions. 1. For Tax payers: Non/Late filing of TDS Statements results into the TDS Credit not being available to the deductees(employees/vendors) for claiming the amount of tax already deducted from the payments made to them besides generating correct TDS Certificates for them. Where a person fails to deliver or cause to be delivered a statement within the time prescribed in section 200(3) or section 206C(3), he shall be liable to pay, by way of fee, a sum of Rs.200/- for every day during which the failure continues. CBDT circulars 04/2013 dated 17.04.2013, CBDT Circular No. 03/2011 dated 13-5-2011 and CBDT Circular No. 01/2012 dated 9-4-2012 refer to Issuance of certificate for Tax Deducted at Source in Form 16/16A as per IT Rules 1962. It is now mandatory for all deductors to issue TDS certificates after generating and downloading the same from “TDS Reconciliation Analysis and Correction Enabling System” or (http://www.tdscpc.gov.in)(hereinafter called TRACES Portal). In view of above circulars, it may kindly be noted that the TDS Certificates downloaded only from TRACES Portal will be valid. For any assistance, you can write to ContactUs@tdscpc.gov.in or call toll-free number 1800 103 0344. 2. Penalty for late filing or Non filing of TDS statement U/s 271H. ( Rs 10,000 to Rs 1 lakh ). (1) Without prejudice to the provisions of the Act, where a person fails to deliver or cause to be delivered a statement within the time prescribed in sub-section (3) of section 200 or the proviso to sub-section (3) of section 206C, he shall be liable to pay, by way of fee, a sum of two hundred rupees for every day during which the failure continues. (3) The provisions of this section shall apply on or after the 1st day of July, 2012. (b) furnishes incorrect information in the statement which is required to be delivered or caused to be delivered under sub-section (3) of section 200 or the proviso to sub-section (3) of section 206C. (2) The penalty referred to in sub-section (1) shall be a sum which shall not be less than ten thousand rupees but which may extend to one lakh rupees. (3) Notwithstanding anything contained in the foregoing provisions of this section, no penalty shall be levied for the failure referred to in clause (a) of sub-section (1), if the person proves that after paying tax deducted or collected along with the fee and interest, if any, to the credit of the Central Government, he had delivered or cause to be delivered the statements before the expiry of a period of one year from the time prescribed for delivering or causing to be delivered such statement. A new penalty provision has been inserted as section 271H which provides that a deductor shall pay penalty of minimum Rs 10,000 to Rs 1 lakh for not filing the TDS statement within one year from the specified date within which he was supposed to file the statement. This amendment is also effective from 1st July 2012. The due date for Filing TDS returns for the quarter Oct-Dec 2013 is 15th Jan, 2014. We request all the deductors to file there TDS returns in time to avoid penalty / Fees for late filing of return. Income Tax Department has WEF 1st of July 2012 imposed a late filing fees of Rs. 200 per day Under section 234E of the Income Tax Act, 1961 for late filing of TDS return which can be up to TDS amount. ITA 314/2013 -COMMISSIONER OF INCOME TAX-TDS versus DHTC LOGISTICS LTD. The assessing officer had imposed penalty of Rs. 10,000/- in each case where PAN Number was not provided by the deductee. There were in all 30706 cases in which the PAN Number was missing or was incorrectly stated. The assessing officer, accordingly, imposed penalty of Rs. 10,000/- in each case. Thus, penalty of Rs.30,70,60,000/- was imposed. Board in the letter dated 5.8.2008 vide No.275/24/2007-IT(B) has clarified that penalty of Rs. 10,000/- under Section 272B is linked to the person, i.e., the deductor who is responsible to deduct TDS, and not to the number of defaults regarding the PAN quoted in the TDS return. Therefore, regardless of the number of defaults in each return, maximum penalty of Rs. 10,000/- can be imposed on the deductor per default/per return. Apply for tax deducted at source @799 in Delhi,Mumbai,Bangalore and other cities at a very low prices. We can help you with your TDS filing with ease.